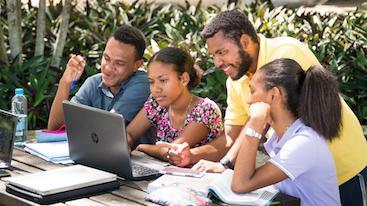 Our Department is the government agency responsible for coordinating higher and technical education and research, science and technology in Papua New Guinea. We work in collaboration with a range of Government agencies and other partners to provide the advanced skills, knowledge and innovation required for PNG’s sustainable social, economic and environmental development. Apply Online - A better and secure way to seek further studies. We are here to facilitate a pathway for you after secondary school. As a Grade 12 School Leaver, you can now apply online for studies. This method is safe, secure, efficient, and most importantly maximises your opportunities for further studies. Start inventing your future now and apply online! Set quality Standards in all higher education institutions to promote a culture of academic excellence. Provide pathway opportunities to learners and ensure that graduates qualifications are internationally recognized. Copyright © 2018 Department of Higher Education, Research, Science and Technology.